It seems certain kinds of buildings are just magnets for vandalism, thefts and burglaries. Gated communities, shopping centers, and large department stores have traditionally been plagued with these crimes. More recently, however, office buildings and small businesses seem to be increasingly targeted for break-ins. This may be because the assumption is made that a smaller office building or any smaller business would not be secure or protected, and criminals may believe it will be easier to “hit and run” without tripping alarms. Every office building has a unique set of security requirements that deserve a tailored approach. There are basically two ways to provide protection for any business or infrastructure, and that is with technology, as in alarm systems, CCTV, access card system, etc., or with personnel security officers. 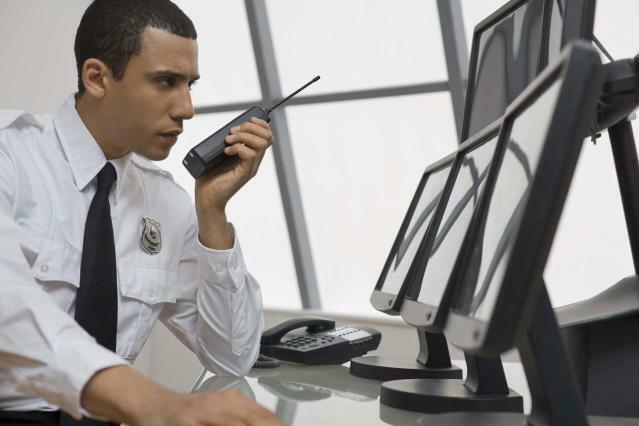 Security personnel maintain a professional demeanor while creating a secure environment for businesses and their network of employees, clients and visitors. Security officers protect property, enforce laws on the property, deter criminal activity, and deal with other problems. Professional Security is required to maintain healthy working environment and to ensure safety of working people.